Size 7 Vintage Turquoise & Coral Ring. Ring Face Measures 1" x 1 3/4". 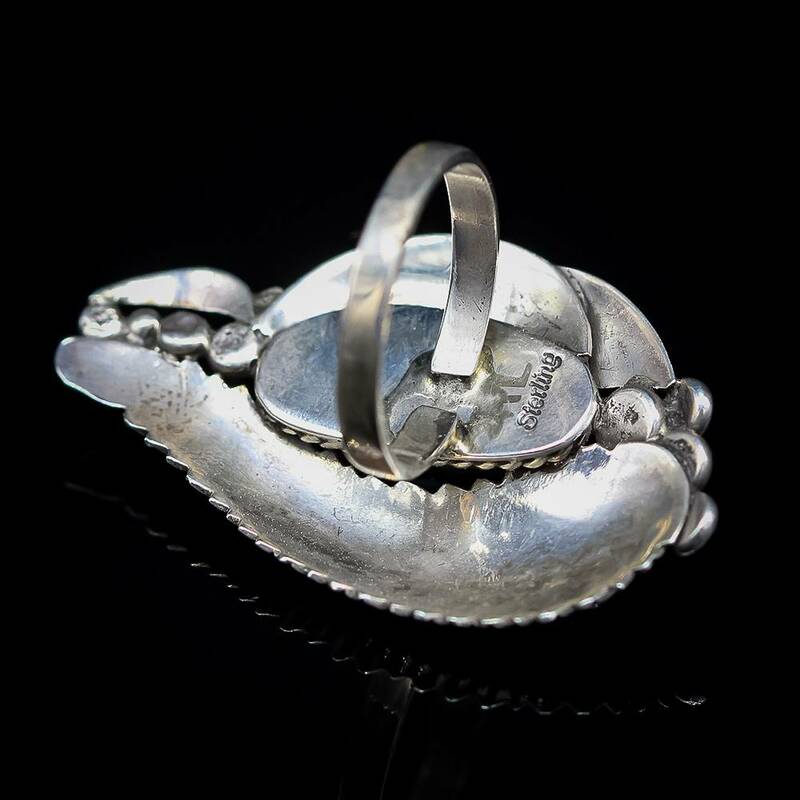 A ring like this can only be described as a timeless pieces of wearable art! 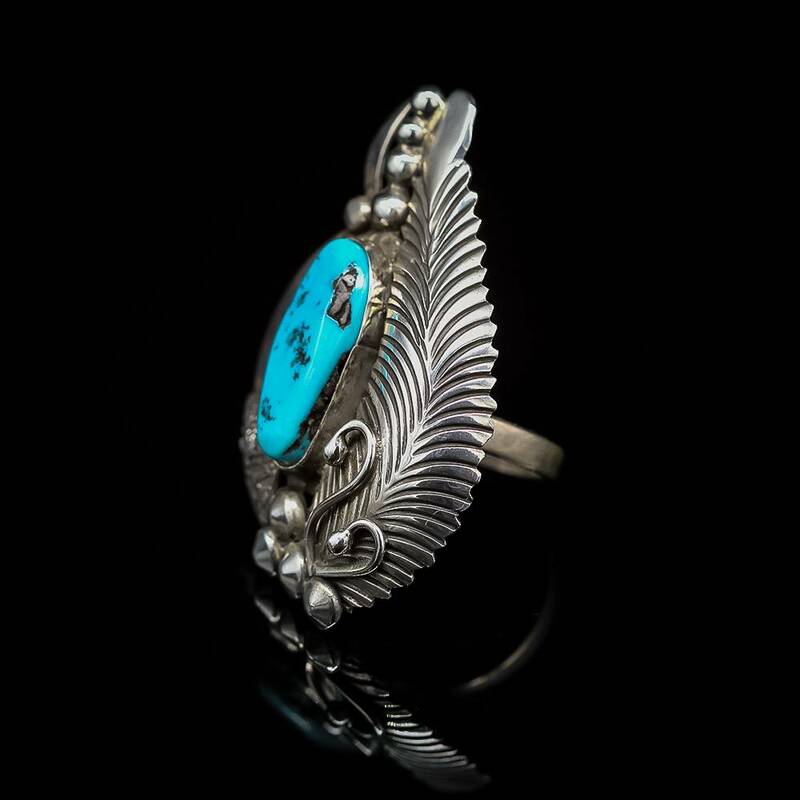 The ring is accented with silver wire, a feather and skillful stamp work. 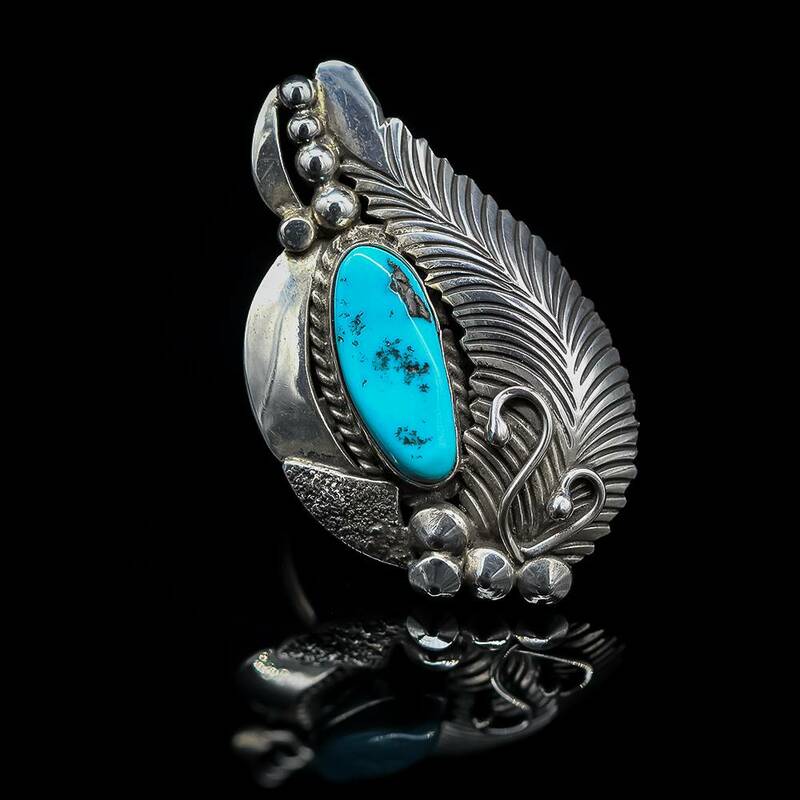 The turquoise stone that is featured on the vintage ring is stunning and perfectly set in a smooth bezel.